Researchers at the Scripps Institution of Oceanography have stumbled on a manta ray nursery in protected waters off the coast of Texas -- the first one in the world to be discovered. The finding, published June 15 in the journal Marine Biology, is the first of its kind to be described in a scientific study, according to a statement from Scripps, which is part of UC San Diego. Known as the "gentle giants of the sea," endangered manta rays are large, plankton-eating fish that have a wingspan of up to 23 feet. While adult rays are typically found in subtropical and tropical waters, baby mantas rarely swim out into open waters, making juveniles very difficult to access and study. 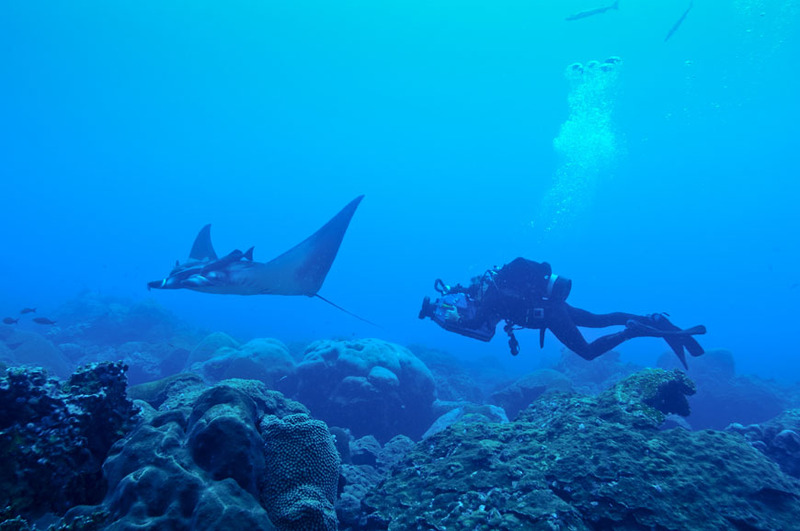 Stewart first spotted several young mantas while conducting research on the manta population at Flower Garden Banks National Marine Sanctuary, a federally designated underwater area protected by the Office of National Marine Sanctuaries. He and colleagues then combed through a quarter-century of photo and dive log information, looking to see how frequently young mantas were in the area. Since mantas have a unique "fingerprint" in the spots on their bellies, the team could identify how many juvenile individuals had been seen there. Eventually, they found that 95 percent of the mantas seen in Flower Garden Banks were juveniles. "This discovery is a major advancement in our understanding of the species," Stewart said, "and the importance of different habitats throughout their lives." UC San Diego researchers, aided by colleagues at the National Oceanic and Atmospheric Administration, suspect that the young mantas are gathering in the relatively shallow banks to recover body temperature after accessing cold, offshore waters. “We think they may be feeding on specific types of zooplankton there, then migrating up toward the surface, where we saw them,” Stewart told the San Diego Union-Tribune. “They might be hanging around the banks because it could be a little safer than open water. Stewart hopes the discovery will lead to better protections for manta rays in shallow waters.